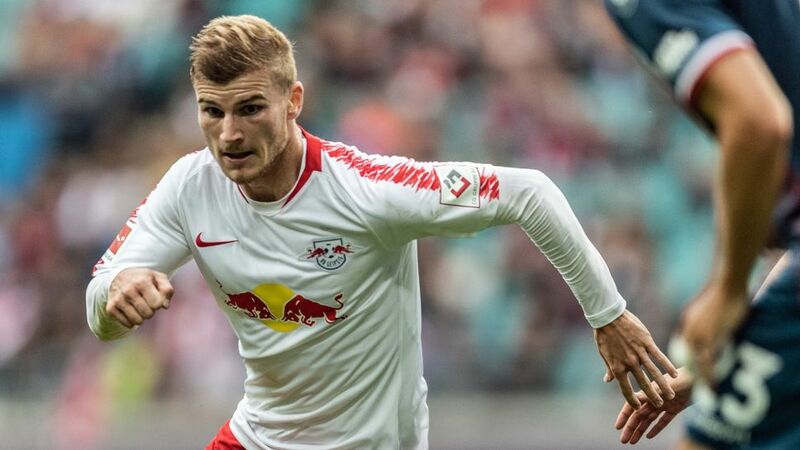 After more than a handful of eye-catching cameos as a left winger in recent months, is it time RB Leipzig and Germany striker Timo Werner made the permanent switch out wide? And before that tut leaves your lips and you point out that Werner is a striker, scorer of over 40 goals for club and country in the last two seasons alone, take a breath and consider: is it really so ridiculous? After all, there are not that many players who have put FIFA World Cup winner Benjamin Pavard on his back - but that's exactly what Werner did on more than one occasion in Germany's UEFA Nations League draw with France on 6 September. The 22-year-old has done it before - and he'll do it again. Why? Because he has a toolset even archetypal inverted left winger Franck Ribery would be proud of. At the 2018 FIFA World Cup in Russia, Werner made a telling contribution as Germany snatched a last-gasp victory against Sweden in the group stage. The second half was just three minutes old when the Leipzig tyro skipped away from his marker, got to the byline and crossed for Marco Reus to equalise. And with time running out in the 95th minute, Werner went on the charge once again, getting the better of Sweden defender Jimmy Durmaz, who had little option but to bring him down just as he was about to enter the penalty area. It was from the ensuing free-kick that Toni Kroos struck the winner. Direct, pacy, purposeful and with a nose for goal - those two 'assists' did not simply come about by chance. And, no, we're not piggy-backing on a couple of strong performances for the national team. Compared to the Poulsens of this world, Werner (weighing in at 165lbs) is a relative cruiserweight of the division - and that's not a criticism. Very few players are able to marry running at opposition defenders with the ball with an end product - be it a short pass, cross or direct goal. Yet it's exactly the sort of play that has propelled Werner into the limelight. Why risk him being suffocated in the centre of the park, out-muscled by bruising centre-halves, when he could be having his wicked way down the left-hand side? Imagine if Bayern Munich head coach Niko Kovac stuck Ribery or Arjen Robben up front. Sure, they'd do a stellar job - but their overall influence on the game wouldn't be any where near as marked compared to their habitual deployment on the flanks. Now do you see where we're coming from? The Bayern duo are the cream of the crop when it comes to inverted wingers - equal parts decisive, enduring, gifted and quick - and it's perhaps they whom Werner and his respective coaches for club and country should be looking to for inspiration. Werner has the potential to be a top striker, but he could be a world-class winger. As the saying goes: if you've got it, flaunt it!